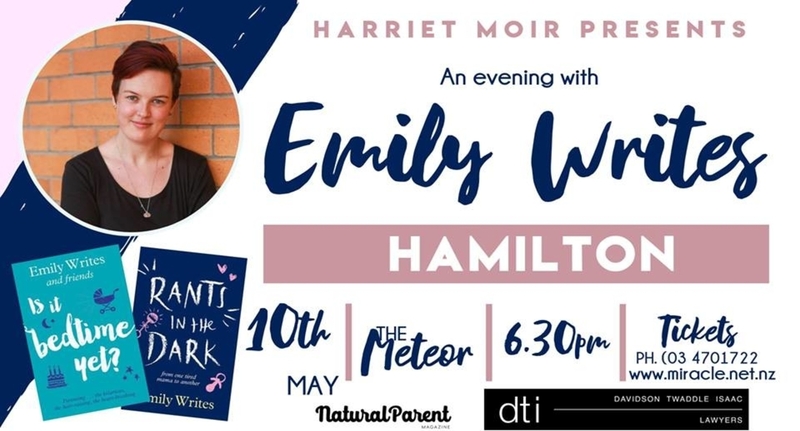 Harriet Moir presents An Evening with Emily Writes. Emily Writes is editor of The Spinoff Parents. She is a mother of two, the best-selling author of Rants in the Dark – From one tired mama to another, writer and speaker. He second book Is it bedtime yet? is out now in all good bookstores. There will be a cash bar available and you also have the opportunity to support a local charity with some amazing raffle prizes. Please note – You DO NOT need to collect or print tickets. There will simply be a list at the door on the night.